Auction Closed. Sold via Buy Now $800. Next Auction Monday Sept 4. 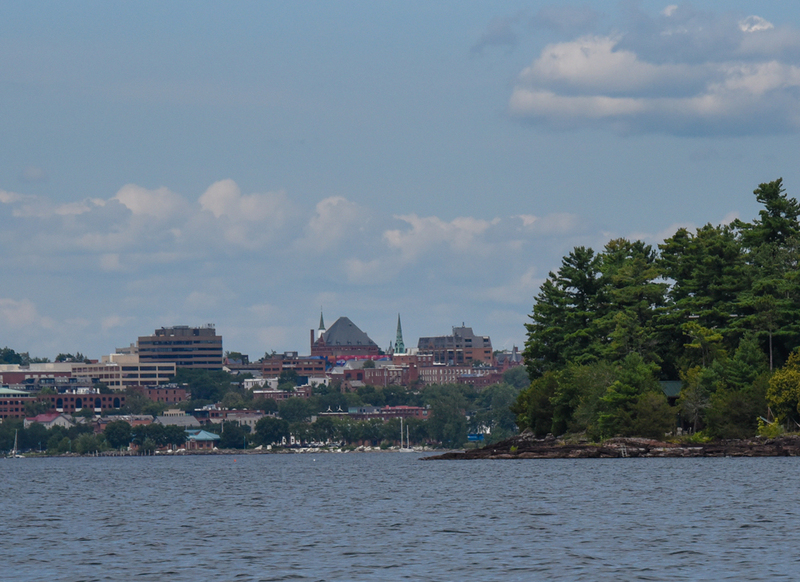 Burlington’s Waterfront came into view as we sliced northward from Shelburne Bay. It had me at hello. Thank you Betsey and Don Dempsey for the sail! Beautiful, Peter! I just love Burlington also. They are so fortunate to have Lake Champlain! 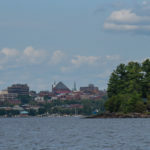 Have you ever been to the Champlain Islands? Very picturesque! You would love it! Thank you Vivian, we went last year and can’t wait to go again! Still beautiful but oh, so built up since I first saw it back in the 60’s! As usual, a beautiful painting. One detail I just have to point out is how well you’ve depicted the pine trees on the right. As anyone who follows your paintings from week to week can’t help but notice, your trees are never “generic”. Through your keen sense of color, values, and shapes, there is still no ambiguity in species, in spite of that wonderful abstract quality that enhances your work. Beautiful city, beautiful painting! I lived there for a short time and loved it! Miss seeing this incredible sight! Another beautiful rendition of a picturesque cityscape that is such a great backdrop from Lake Champlain! Very nice! Several years ago my husband took a vacation to Vermont and stayed in Burlington. It was such a beautiful, friendly city. This painting is so reflective of the beauty of Burlington. We plan on going back to Vermont for a visit again, one of my favorite states!! In addition to my last comment…I meant to say “my husband and I” took a vacation to Vermont…he didn’t go alone – lol!